Preston Development Corporation has joined forces with Kenneth M. Kirkman, the initial developer, to form Overlook Holdings LLC, the firm that is continuing the successful development of Carolina Colours. Preston, formed 25 years ago by Tim Smith and Julian “Bubba” Rawl, have developed more than 25 communities in North Carolina, with a nearly unmatched record of success. Kirkman, the visionary that has created and managed Carolina Colours since its inception in 2005, previously worked with Preston on the development of Landfall, in Wilmington, North Carolina. The combination of Preston and Kirkman bring together more than 50 years of residential development experience in complex residential, commercial and mixed-use projects, as well as a proven track record of credibility and fulfilled commitments. 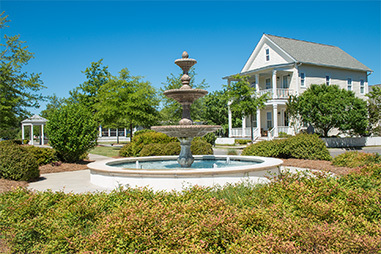 The addition of Preston to the development team of Carolina Colours has allowed the developer properties to be owned and managed without debt, while Kirkman’s presence on site daily (office and home) provides direct access for both residents and prospects to have any and all questions answered. For more information on Preston and its team and accomplishments, please visit www.prestondev.com. Kirkman, a very experienced real estate attorney, has managed major projects including Beacon’s Reach in Pine Knoll Shores, NC; Bald Head Island near Southport, NC; and Landfall, in Wilmington, NC among others.